Eight people died and 136 others were injured after a thunderstorm and hail hit Dongguan City in south China's Guangdong Province, local authorities said Wednesday. 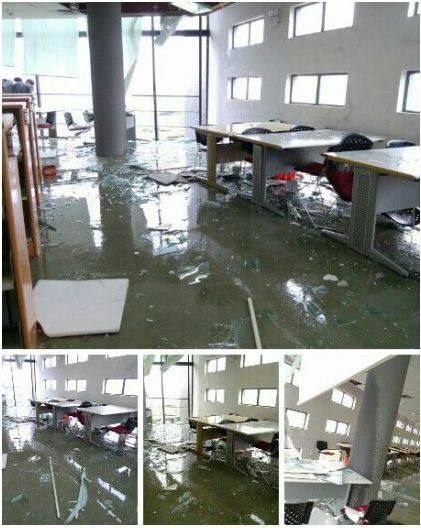 Two of the injured sustained serious injuries, according to the Dongguan municipal government. Thunderstorm and hail battered the city on Wednesday afternoon, along with gales and torrential rains. Three townships were badly hit by heavy rains and strong winds, it said. The government has sent a work team to disaster-hit areas for investigation and disaster-relief work. A severe thunderstorm and hail hit Dongguan City in south China's Guangdong Province on Wednesday, leaving eight people dead and 136 others injured.